Harry Styles of One Direction was pictured in Soho New York on 3rd December 2013. Not exactly the best picture of Harry (deer caught in headlights? ), but we can all agree that the Saint Laurent long wool coat is gorgeous. I have been raving about coloured coats for the past couple of weeks, and this one is no exception. The gold crested buttons worked so well with the blue coat, and the blue plaid shirt underneath (I believe also from Saint Laurent) further brought out the beautiful tone of the coat. Love the brown suede Chelsea boots (John Lobb apparently) paired with the fitted denims. 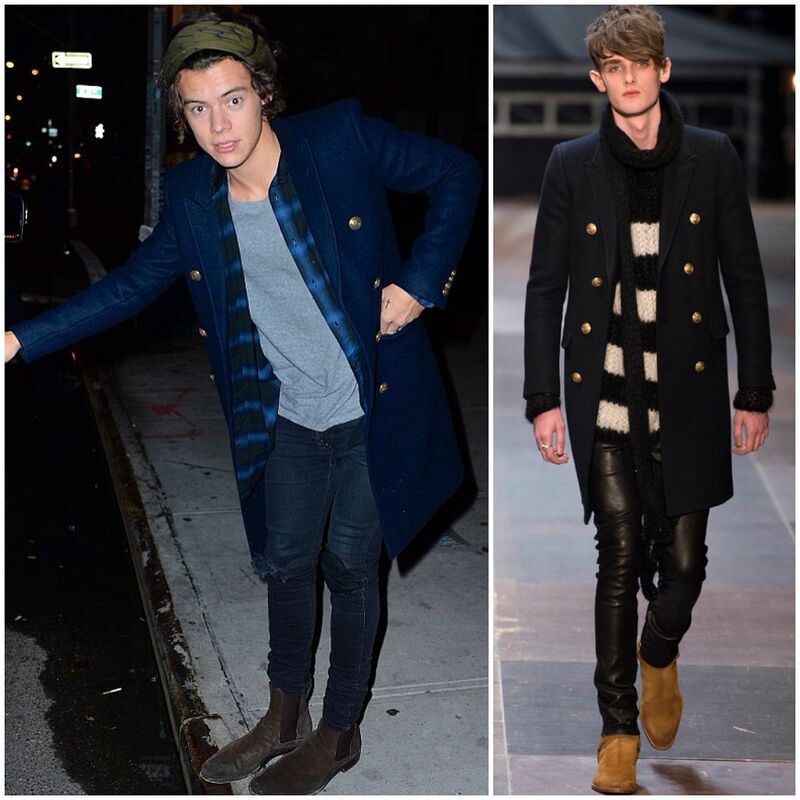 A really good look from Harry, effortless off-duty style with his choices of great individual pieces. i want his whole outfit, it's working for me! Any guesses about the boots? Saint Laurent? I'm not sure about his boots. I read it was John Lobb but I cannot confirm. Nice boots I agree.